Do You Want to Relax Tonight While Recovering and Rejuvenating your Body? 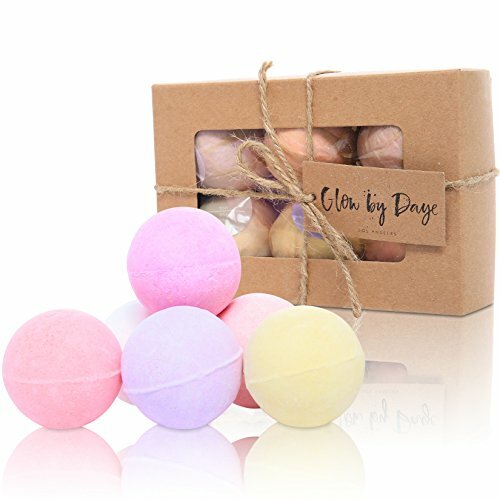 ✔ PACKED with MOISTURIZERS FOR SKIN HEALTH Each bomb is loaded with organic moisturizers to soften skin while bathing and help treat dry skin associated with eczema, psoriasis, or cold weather dryness. ✔ CITRIC ACID for ANTI AGING This organic acid fights free radicals that promotes anti aging. It helps in the regeneration of skin tissue, slowing down the aging process. Citric acid can have a depigmenting effect and can also help lighten dark spots and even out skin tone. ✔ SODIUM BICARBONATE (Baking Soda) This natural cleanser and deodorant, traditionally used as a great soak and exfoliator ingredient, works to leave you feeling clean and refreshed. HURRY AND ORDER TODAY FOR OUR LIMITED TIME SPECIAL!! MAKES THE PERFECT GIFT - MUSCLE RELIEF- Relieve body soreness and loosen your muscles. Fusion of oils, salts, and moisturizers deliver therapy treatment and relaxation. ♨️ UNIQUE BLEND OF THERAPEUTIC SALTS♨️ - Our unique combination of therapeutic salts aid in joint and muscle therapy by REMOVING LACTIC ACID BUILD UP. GREAT for ATHLETES, those suffering with tight, sore muscles or arthritis. If you have any questions about this product by Glow By Daye, contact us by completing and submitting the form below. If you are looking for a specif part number, please include it with your message.